The Inter-Mountain file photos Petersburg senior forward Cody Southerly drives to the hoop on a Vikings fast break earlier this year. Southerly received Honorable Mention recognition on the Class AA All-State list. Petersburg senior center Mark Burkholder looks to pass the ball. Burkholder was named to the Class AA All-State Honorable Mention list. 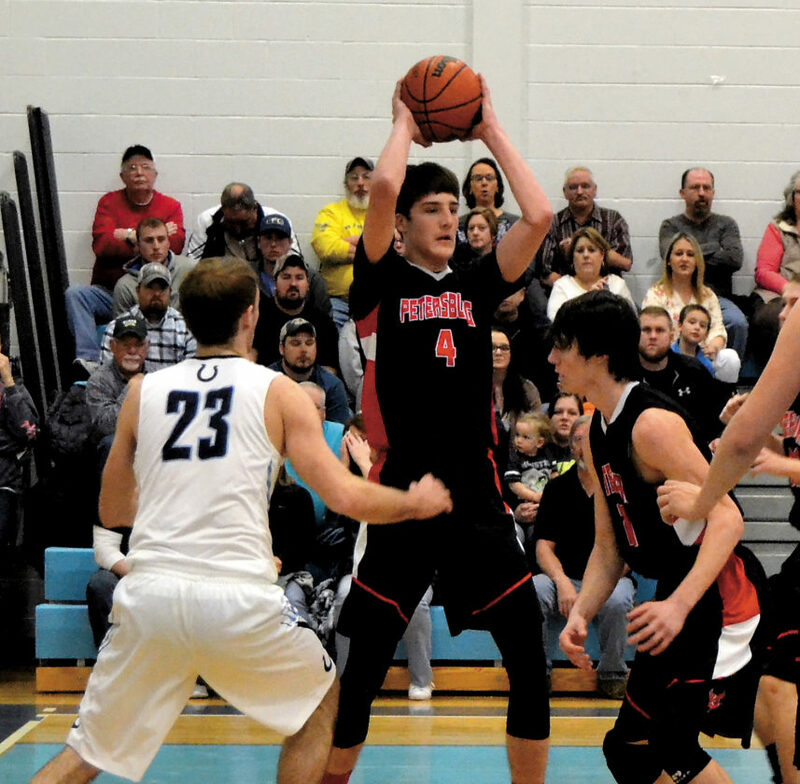 PETERSBURG — Petersburg High School’s boys basketball team finished the 2016-17 season just one game away from a berth in the Class AA playoff picture, going 15-10 on the slate. 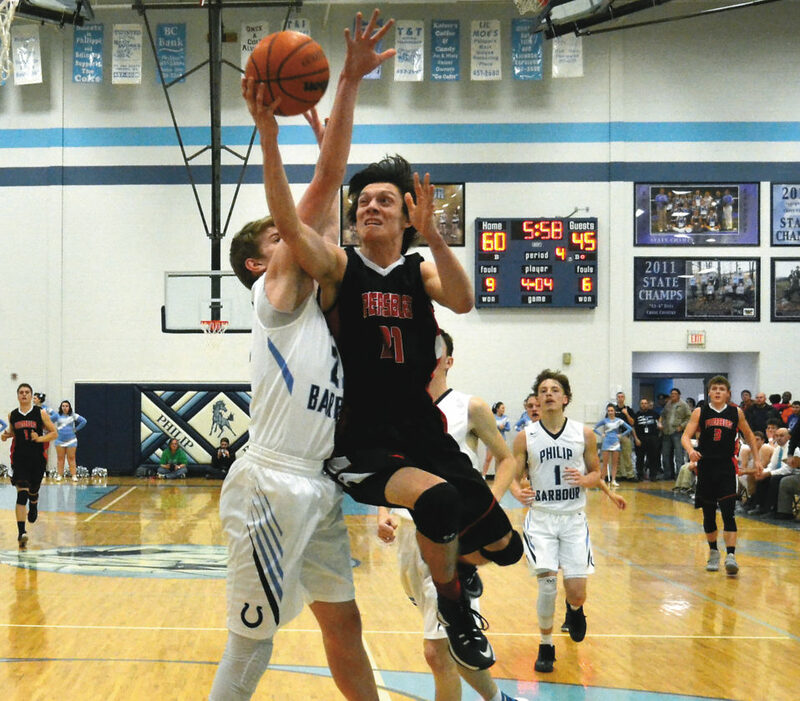 The Vikings simply would not go away when they faced Philip Barbour in a sectional title tilt, and finally fell out of the race after drawing a road game against eventual and two-time defending state champion Fairmont Senior earlier in the month. 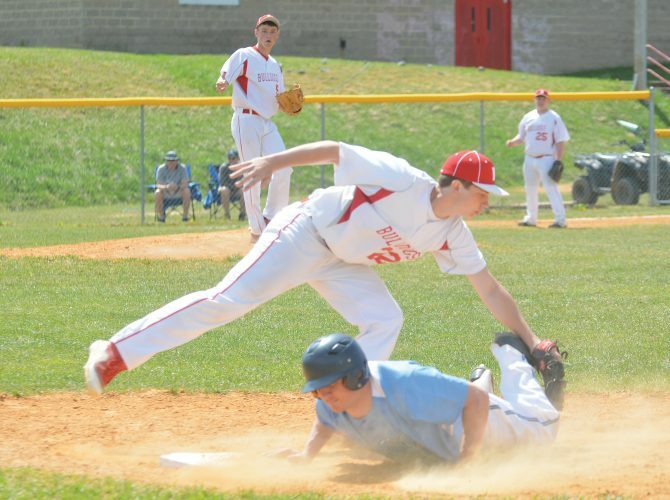 Helping bolster the Potomac Valley Conference squad’s run were seniors Cody Southerly and Mark Burkholder, who both garnered Honorable Mention slots on the Class AA All-State list. 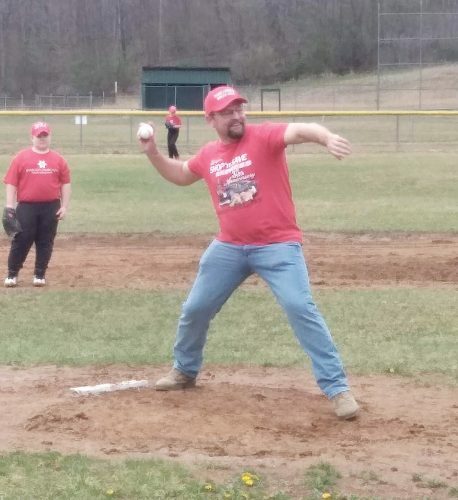 After notching about a decade as a PHS assistant, second-year head coach Todd Heare was complimentary of both players, and the team overall. Heare is a 2003 graduate of Petersburg High. Southerly, also a standout on the gridiron at defensive back and wide receiver, wrapped up his senior season with averages of 11 points, 8 rebounds, 3 steals and 3 assists per game. Burkholder nearly averaged a double-double during his final campaign for the Vikings, at 14 points and 9 boards per contest. He inked 2 blocks a game, shot 37 percent from behind the arc, and went 74 percent from the charity stripe, all on his way to earning AA PVC All-Conference Team accolades. “Mark is a great person, one of the best I have ever known,” Heare said. “He keeps his cool under pressure and never gets mad. He is a great kid on and off the court. Heare said that Petersburg’s program has seen a lot of improvement lately. He also noted community and school involvement have meant a lot to the Vikings’ efforts to continue improving. Without hesitation, the coach said Burkholder and Southerly will be missed next season.